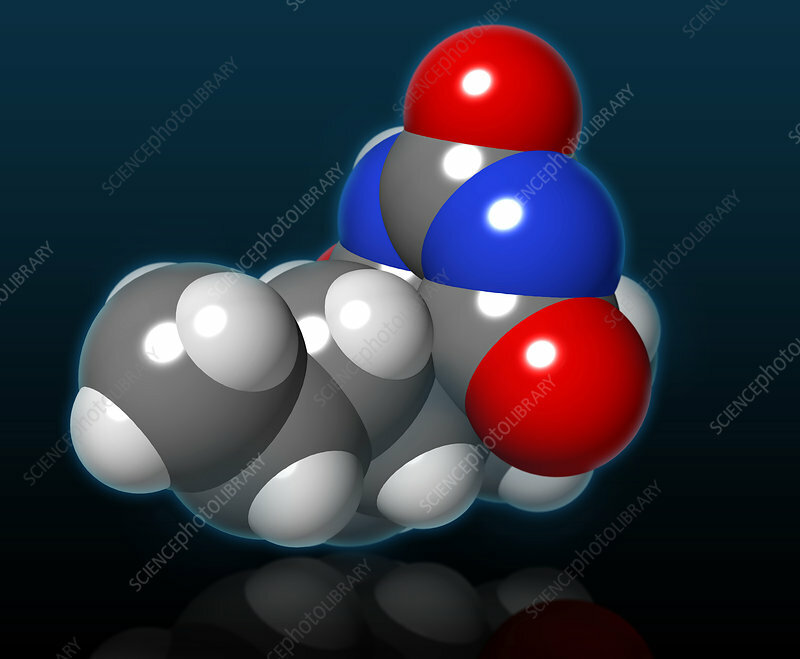 A molecular model of pentobarbital (a.k.a Nembutal), a depressant which acts on the central nervous system as a sedative or anaesthetic, and is also used as a short-term insomnia treatment. However pentobarbital causes death when used in high doses, and has been used for both animal euthanasia and lethal injection executions of death row inmates. Atoms are coloured dark gray (carbon), light gray (hydrogen), red (oxygen) and blue (nitrogen).